EGradle Editor as standalone plugin, so other IDEs can use the editor implementation as well or users just install the editor. 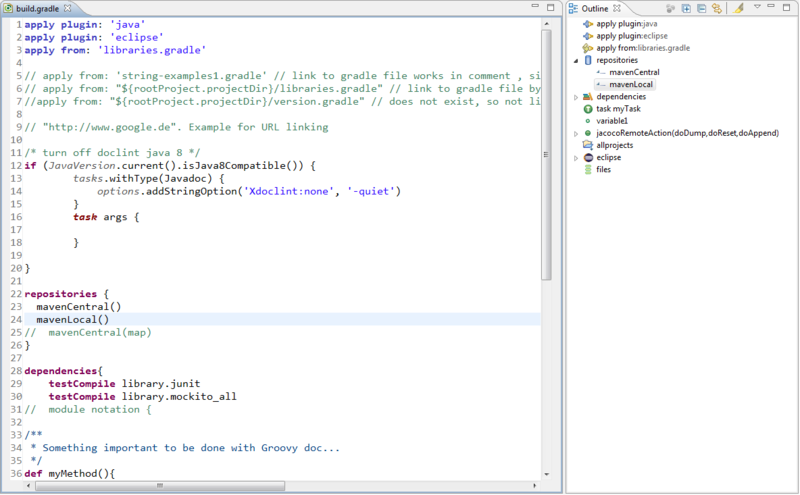 Supporting Java, Groovy, Gradle keywords, GroovyDoc etc. 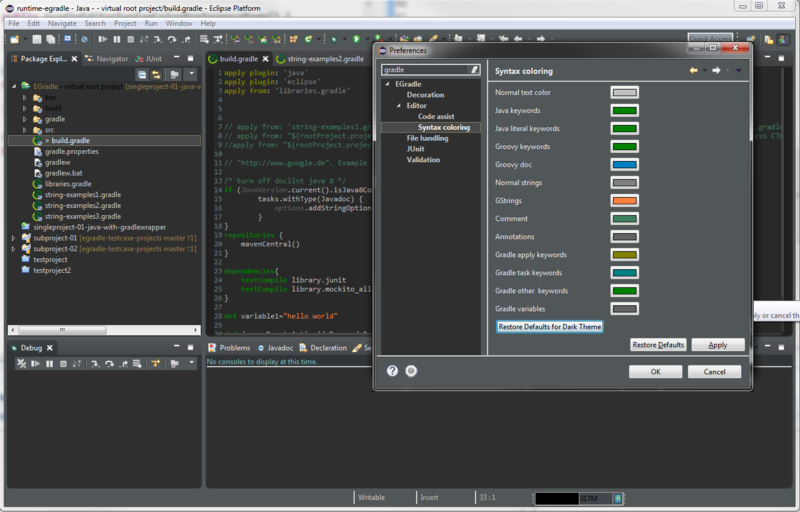 By adding the following code below to your website you will be able to add an install button for EGradle Editor. Love the outline feature and it's icons. Thank you.